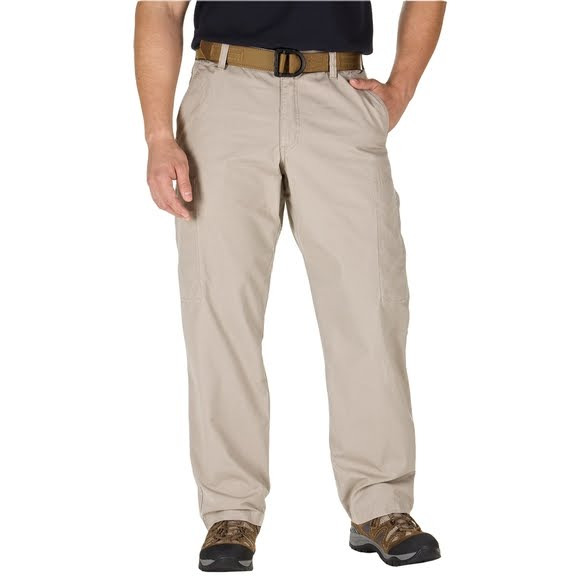 The 5.11 Covert Cargo Pant combines superior tactical performance with a comfortable, low-profile design. With the look and feel of casual flat front cargo pants, 5.11 Tactical's Covert Cargo Pants are engineered to remain inconspicuous until the last moment, giving you the ability to respond accurately and effectively. The 5.11 Covert Cargo Pant combines superior tactical performance with a comfortable, low-profile design. With the look and feel of casual flat front cargo pants, 5.11 Tactical&apos;s Covert Cargo Pants are engineered to remain inconspicuous until the last moment, giving you the ability to respond accurately and effectively. Large storage pockets are hidden along the left and right seam, giving you ample storage space that remains inconspicuous when not in use. Double-deep front and rear pockets are Cordura reinforced, both hip pockets feature integrated secondary storage for pistol magazines, and a self-adjusting tunnel waistband ensures a stable and secure fit when you&apos;re on the move. Crafted from 8.5 oz. peached cotton canvas, our Covert Cargo Pants are as comfortable as they are functional. I had not heard of Bob Ward's before recently finding them online. My first order went completely smoothly - rec'd what I ordered promptly and it was exactly as advertised. Thanks, Bob!